The Bubonic plague, also known ominously as the Black Death, is a bacterial epidemic that reached its peak in the Middle Ages. Even though bubonic plague had existed earlier, namely in parts of Asia, its effects were never as widespread as when it reached Europe through popular trade routes during the mid 1300s. The trading routes typically centered around large, commercial cities with high populations. This meant that once the plague hit a city, it spread quickly. 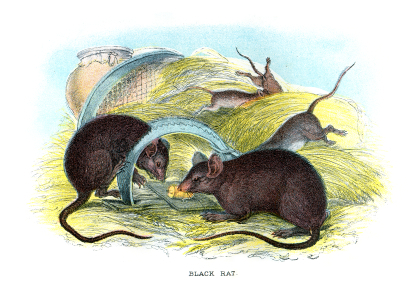 Bubonic plague is essentially a bacterial infection that is passed on from infected fleas, rats and other creatures. Infected humans would display striking symptoms such as throwing up blood, abnormally high fevers, swollen lymph nodes and aches in the body. The lymph nodes in particular are what lent the disease its colloquial name. While healthy lymph nodes are typically white in color, unhealthy ones turn very dark, almost black. After extreme swelling, they burst, bringing on a hasty death. An infected person, without appropriate medication or treatment, can die within three to four days. How Did Trade Affect the Transmission of the Plague? While bubonic plague can be cured today, in the 1300s the lack of advanced medicine coupled with high tendencies towards malnutrition and additional diseases, as well as virtually no hygiene or sanitation standards, rendered people far more susceptible to the epidemic. Apart from sickness and death, the plague also heightened fear and suspicion throughout Europe. Being highly superstitious, townspeople of the time came up with all types of explanations for the hideous disease, ranging from punishments from God to a mass conspiracy by the Jews against the Christians. In their panic, they used any remedies that offered some promise of recovery. These treatments included herbal medications, aromatherapy, loud noises, good luck charms and magical ointments. On the other hand, public officials did attempt to separate superstition from fact and treated the plague as a disease. Various cities addressed the issue in different ways. Milan found a very effective solution in bricking up any houses that contained infected individuals, while Venice turned away ships in order to isolate the city. Scholars were counted on for their professional opinions and they responded with varied and conflicting advice, most of which was utterly ineffectual. Among all the confusing and contradictory recommendations, a few people actually did hit upon some effective solutions: isolation, and heat to kill the bacteria. The bubonic plague created a new trend among Christians, who were convinced that the outbreak was a direct reflection of God’s anger. They started to physically punish themselves publicly, often in groups, and became known as the flagellants. They were denounced by the pope and arrested when possible. 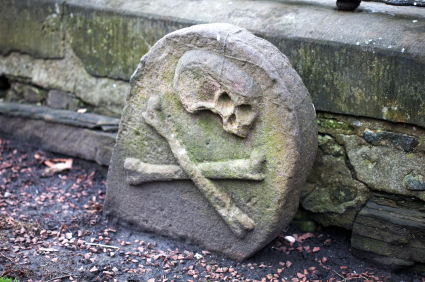 The Black Death had a profound impact on Europe’s population; some estimates indicate that around a third of the population died due to the plague. In some areas it was even worse. For example, early Venetian records show that sixty percent of the city’s population succumbed during only eighteen months! The massive loss of life, along with the isolation measures, also had a markedly negative impact on the economy. Businesses shut down, towns were abandoned, and many family homes were left empty. Cultural and religious institutions suffered likewise, losing some of their greatest minds. In terms of culture, a warning of the Black Death still lives on today, albeit a bit cryptically. The children’s nursery rhyme, Ring Around the Rosie, is said by some to be a reference to the swollen glands caused by the disease, the flowers (posies) that were thought to help ward off the infection, and the final lines (ashes, ashes, we all fall down) symbolize the burning of the body or victim’s house, followed by death. Similarly, artists recorded the horror of the times through their craft, using skeletons to symbolize death. The worst part about the plague was that it hit Europe several times again, following the initial outbreak. 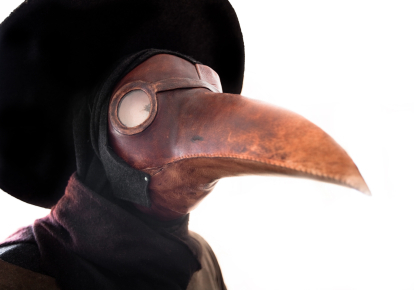 By the 1500s, for example in England, medical practitioners were developing treatments and advocating better sanitation to help reduce the spread of the plague. 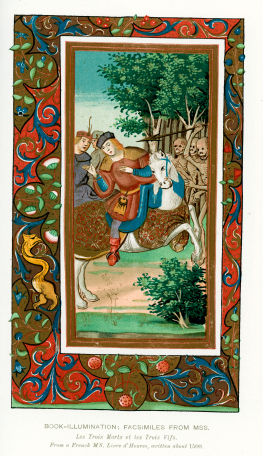 The Black Death marked an incredibly scary time for people living at that time. More than simply falling ill and dying, they also had to cope with the cultural, social and religious fears that abounded. Although today most people would say that the plague no longer exists, it is actually still around and tends to mostly infect animals. Modern medicine has developed a reliable cure and unlike the mass tragedies of the past, infected humans today still have a viable chance of survival if treated in time.